TOKYO DRIFTER. (1966) REVIEW BY SANDRA HARRIS. The weekend is over, time to relax, wind down after the hard slog of the week.Refuel your brain with sophistication andour latest selection of MUBI Selects. 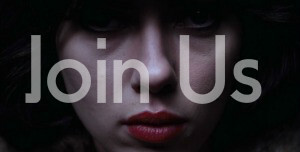 In our latest weekly 'Mubi Selects' we've teamed with MUBI the purveyors of great cinema online curating a great selection of cult, classic, independent, and award-winning movies. It's an international community discovering wonderful intelligent thought provoking films MUBI is your passport to those great films. Asia and China especially have delivered some intriguing filmmakers Ning Ying is one of the '5th Generation' however she hasn't attracted the fame that other 5th generation like Zhang Yimou and Chen Kaige. She is more modest but some say more naturalistic visionary of her country finding the bleakness, the hope and the toll of modernisation of China.Its a tale of wandering Beijing Taxi driver who drives the streets adrift aimlessly adrift looking for women like Beijing looking for its identity as tradition fades, future uncertain. I love Beijing may have not aged well but captures the emptiness of life in that decade. 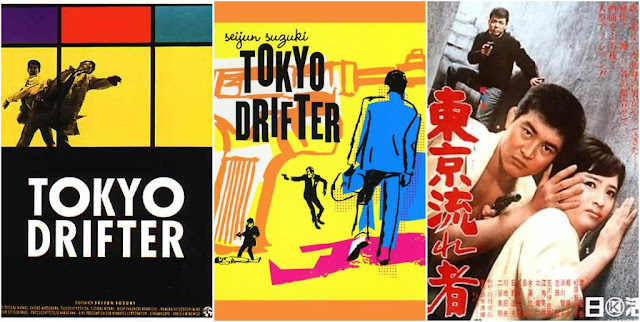 He's was given the boilerplate of action but gave the world satire pop-art gangster films, Seijun Suzuki helped mould the 'Yakuza' movie.Japanese New Wave? Possibly,brutality that came with the urban myth of the Yakuza can be seen here but you feel it was a production made under constant state of agitation. 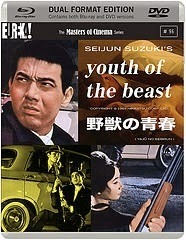 Youth Of The Beast tells the tale of a mysterious stranger who muscles his way into rival gangs in The Tokyo underworld which is now overan with violence. Flamboyant, absurd,hallucinatory, trademark Suzuki. Masterpiece is the first thing anyone says when someone mentions The Conformist.It's Italian filmmaking goes French New Wave in the perfect example of wartorn Italy and the power of ideology. As a weak man becomes a patsy of fascism sent out to assassinate is old teacher a now political dissident. Beautiful cinematography a style that would inspire many great films that followed this from Godfather to Blade Runner. Eureka! Entertainment have announced the release of YOUTH OF THE BEAST [Yajû no seishun], the breakthrough film from Suzuki, the director of such '60s New Wave Japanese classics as Tokyo Drifter and Branded to Kill. Starring Jô Shishido, the iconic star of countless Suzuki and Nikkatsu Films pictures throughout the 1960s, this is the first release of the cult film, and will be released on Blu-ray in a Dual Format (Blu-ray & DVD) edition on 27 October 2014. 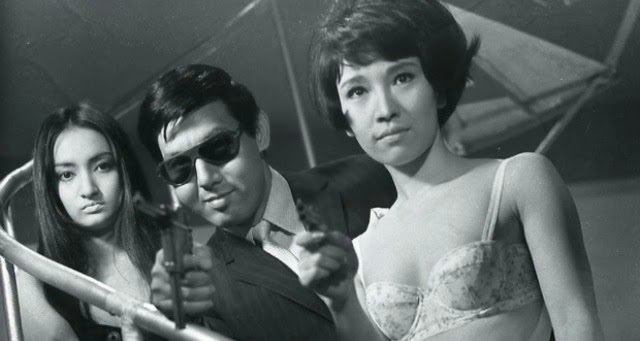 Right on the heels of the riotous Go to Hell, Bastards: Detective Bureau 2 3, Seijun Suzuki unleashed what would come to be seen as his true breakthrough, the film that would cement "the Suzuki sensibility": Youth of the Beast [Yajû no seishun]. A kaleidoscopic fantasia that contains "youth" and "beast" only insofar as 1963 pop/youth culture was that violently upstart thing, — not unlike the yakuza? Suzuki's infectious go-for-broke energy is assisted by a telephoto lens that serves at once as phallus and yoni in the masterful, Minnelli-worthy 'Scope framing. His film would go on to inspire John Woo's forthcoming remake titled Day of the Beast; Nikkatsu have in recent times deemed this movie one of their treasures. The Masters of Cinema Series is proud to present Youth of the Beast in a Dual Format (Blu-ray + DVD) edition based on their new HD master. Youth Of The Beast will arrive in glorious 1080HD on blu-ray with improved optional English subtitles,as the release is in dual format so even the DVD has had an upgrade too. The whole package comes with a 36 page booklet featuring a new essay by Frederick Veith, and rare archival imagery making this release an essential release for fans of Japanese crime genre get your copy from 27th October 2014.